When you own a plumbing business it's important to stay up to date with all of the technology, tools and industry-specific supplies that are being introduced in the marketplace. 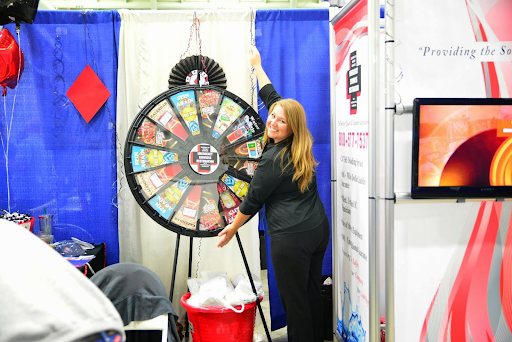 Trade shows are where you'll be introduced to everything that can positively impact your business in order to keep you at the forefront of your customers' minds as well as a step ahead of the competition in your community. 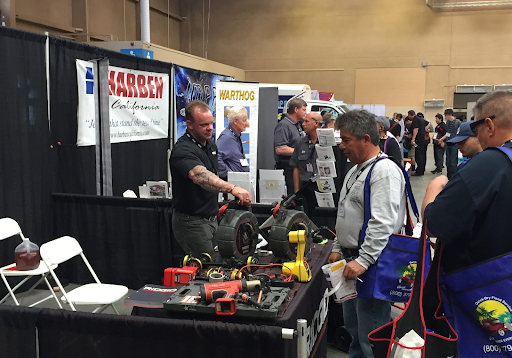 Luckily, even with the demanding schedule of running a plumbing business, there are a number of trade shows happening around the country that you can attend in order to keep up to date with all the happenings in your industry. Take a look at our definitive list and see which shows will be best for you to attend. Grow your plumbing service with the ultimate plumbing software by Housecall Pro. Easily manage jobs, workflow and get more jobs booked online. Sign up today for a free 14-day trial. May 7-8, 2019 PHCC PHCC 2019 Legislative Conference Washington, D.C.
What: Join hundreds of service professionals in this one-day event to learn from the best in the industry, network with peers from all over the region, and receive personal coaching on using the Housecall Pro software to run your plumbing business. I attended the Atlanta Masterminds Conference for a client. The conference was informative and I met a lot of nice people. Before I left I signed up to become a Housecall Pro Certified Expert! What: With an enclave of international businesses and vendors in attendance, this is your opportunity to network with international players and see the most innovative tools in the global marketplace. What: Largest trade show in the Western United States dedicated to plumbing, heating, cooling, and related industries. If you're based in the Western US, make sure you attend this expo (in 2020 as well) to keep ahead of your competition. What: Held by the PHCC Association of Georgia this is an expo with hundreds of vendors showcasing the cutting-edge technology that is available in the plumbing industry. With prizes and free seminars, it is a Southern US expo you cannot miss. What: PHCC associations far west convention held annually in Honolulu, Hawaii. Whether you're based in Hawaii or need to blend your annual education with a trip to paradise, with this convention you'll be introduced to new technology and skills in the plumbing industry. What: The Northwest's premier PHCC convention jam-packed with good food, entertainment and all of the newest plumbing technology to be utilized by your business. Network with other plumbing professionals and vendors that reside in the Pacific Northwest. What: Northern California's annual PHCC trade show. Servicing Alameda and Contra Costa Counties it is a prime expo to both network and stay in touch with the skills and technology affecting the plumbing industry. What: One of the oldest and most comprehensive plumbing conventions in the country. The bulk of the expo focuses on management and frontline skill & tool seminars that are led by some of the brightest minds in the industry. What: A free, family-friendly conference and trade show held on the beach that features classes, meeting and key note speakers from industry experts. What: Largest one-day PHC event in San Diego County. While perfect for plumbers, this event also caters to heating and general contract workers so while it provides fantastic industry and tool exposure, it is great for meeting potential partnership opportunities with other trade businesses. What: It's extremely important to stay up-to-date with all of the legislative changes involved in the plumbing industry. Held in the nation's capital the PHCC Legislative Conference is attended by some of the biggest plumbing businesses as well as legislators in charge of influencing industry change. What: Having over 70 years of experience serving the hardware and home improvement industry, the National Hardware Show provides industry professionals with the various advances in industry technology that should be incorporated into their business. Furthermore, the event offers an array of educational content and training. What: The annual leadership and management conference geared for the plumbing industry. Learn from top performers the latest management and leadership techniques that can help level-up your plumbing business. What: "The triennial World Plumbing Conference offers a unique opportunity for the global plumbing community to come together for knowledge sharing, networking and professional development. What: One of the premier trade shows of the Southeast. 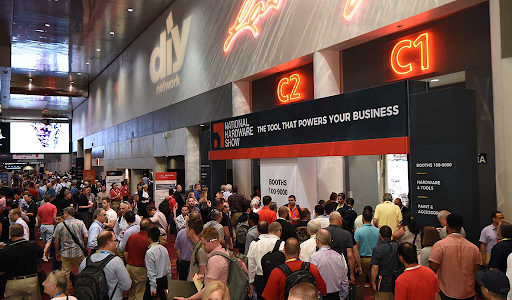 With hundreds of industry professionals as well as vendors in attendance this convention opens the doors to increased sales leads as well as networking and product information for the plumbing industry. What: Brought to you by Service Nation Inc., the Service World Expo will provide the best business insight, marketing strategies, money-making practices in the plumbing industry.